(Reprinted with permission) By Vince Wong, Staff Lawyer - Metro Toronto Chinese & Southeast Asian Legal Clinic. It has been a rough period for the estimated 800,000 "Dreamers" in the U.S. — young people who availed themselves of the protections of the Deferred Action for Childhood Arrivals (DACA) program over the past few years. DACA was implemented to give certain young, undocumented migrants, who were brought to the U.S. as minors, temporary protection from deportation action as well as the ability to work legally while in the States. A special ceramics training program for Newcomer Refugee Artists who want to learn more about ceramics and about building their entrepreneurial or business skills. The project provides opportunities for participants to enjoy ceramics as a social recreational program, or supplement their income through sales. The first round will be held at the Gardiner Museum in Toronto. 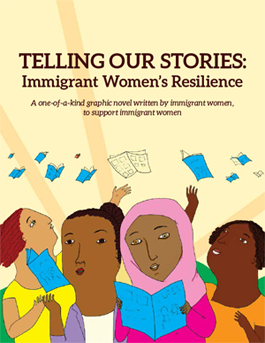 OCASI is hosting free webinars to help immigrant and refugee serving agencies use the OCASI graphic novel "Telling Our Stories: Immigrant Women's Resilience" as a tool for social change. Upcoming webinar dates are September 21 and 25. OCASI is developing online training on Gender Based Violence (GBV) for the immigrant and refugee-serving sector. Are you a service provider in the immigrant settlement or community sector who works with immigrants and refugees? Do you want to help shape the GBV curriculum? Please complete this short online survey before 5 pm on Thursday September 21, 2017. [Francais]. 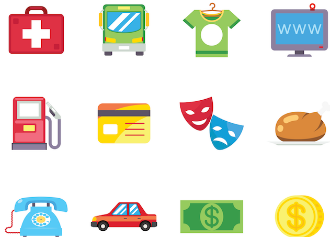 Are you from an OCASI Member Agency? Apply for OCASI School for Social Justice (SSJ) 2017 before the deadline - Friday September 22, 2017. The SSJ is a training institute for OCASI member agency employees to build capacity in social analysis, community organizing, and advocacy for social and economic justice. OCASI and Colour of Poverty - Colour of Change made a joint submission to the Ministry of the Status of Women consultation on Women's Economic Empowerment. The joint brief highlighted the experience of racialized and immigrant and refugee women. Six recommendations included a call for employment equity and access to the provincial nominee program for low-wage migrant workers. Save the date for the Canadian Council for Refugees Fall Consultation from Thursday, November 30, 2017 to Saturday, December 2, 2017. The events will be held in Niagara Falls, Ontario. More information will follow over the next month. A Commemorative Art Memorial to honour Missing and Murdered Indigenous Women and girls in Canada and the United States. 1820+ pairs of moccasin tops have been created by 1,400+ caring and concerned people to create one large collaborative memorial. Ontario tour dates: Tkaronto: Oct 14 - 29, 2017 6Nations: Nov17 - 30, 2017 Sudbury: Jan7 - 19 Kenora: Feb 4 -16, 2018. Are you a language advocate? MCIS Language Solutions invites Individuals, non-profit/ grassroots organizations and social enterprises to submit innovative ideas to develop a Language Advocacy Toolkit to be used by newcomer. The winner will receive a $25,000 grant to support their project. Apply by October 1, 2017. Register for the October 6, 1pm - 2:30 pm webinar by the Canadian Council for Refugees: 'Sexual Orientation and Gender Identity and Expression: the IRB Chairperson's Guideline'. Learn about the recently issued IRB Chairperson's Guideline 9 regarding Sexual Orientation and Gender Identity and Expression (SOGI), and what it means for refugee claimants, detained persons and others appearing before the Immigration and Refugee Board (IRB). [Français]. This paper offers a framework to measure thriving in the city, a measure that reflects the physical, mental, and social dimensions of health. This is a Wellesley Institute Junior Fellowship Report, released on September 13, 2017.